I love living in Portland Oregon, but one of the draw backs is all the moss build up you see everywhere. I am helping clean up by using only Earth Friendly products. Here you will find a list of services that I specialize in. If you have a project that is not on this list, please contact me and I will be sure to assist in any way I can. I am Fully Insured and Registered through the state of Oregon. Before any job I give the area or areas a detailed inspection to determine the best and safest method for completing the task. I am very honest and upfront with all my clients. If I feel that I could possibly do damage to the area that needs the cleaning or refinishing, I will notify you. When you go with Danny's GREEN Surface Cleaning LLC, you are getting the best. Not only that, but helping the environment. I don't use any harsh chemicals that damage the Earth. Trust me, it wasn't easy to find GREEN cleaning solutions that actually work, but I did. 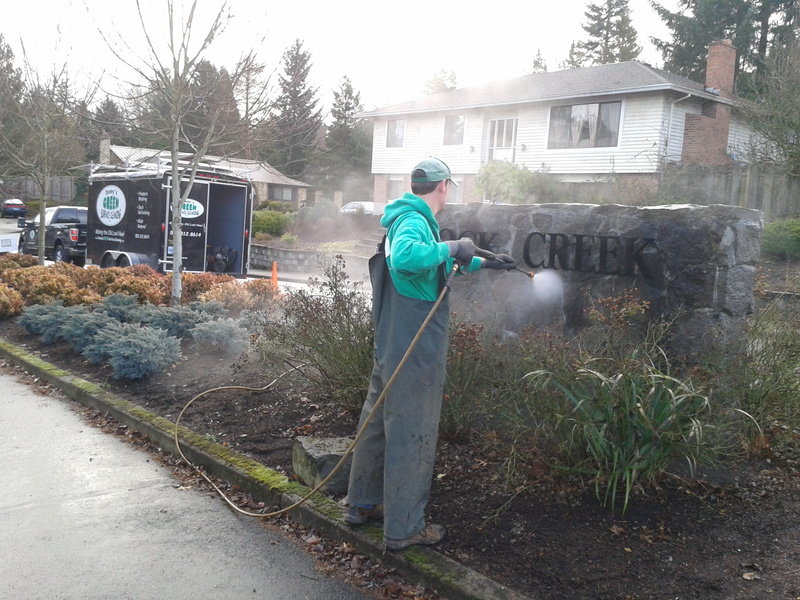 "I had never considered pressure washing my sidewalks, but after seeing my neighbor's sidewalk looking new next to mine, I needed to clean it up. He suggested I contact Danny's Green Surface Cleaning LLC and I did. Now I match and it's amazing what a little washing does for my curb appeal." You might be thinking that since I'm earth friendly that I charge more, and it's simply not true. The clients that I have worked for say that my prices are actually lower than most in my field. Now for the few that are less, well you get what you pay for and you would most likely need to have the work done again. I am very detail oriented (the military taught me that) and I genuinely care about my results. Give me a call or send me an email and schedule your FREE estimate with NO obligation and find out for yourself.